Chaikin and Coshotts book provides a holistic view of the opportunities and threats entailed in the digital world of the 21st century, showing how digital disruption is impacting businesses, governments, investors and consumers. 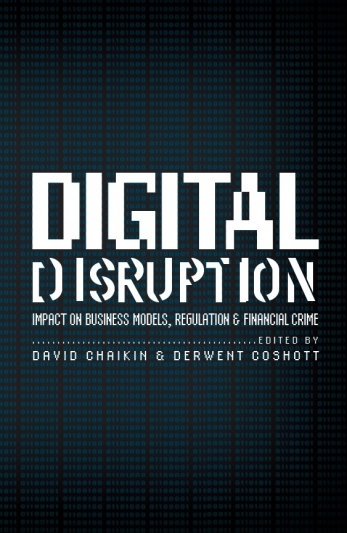 Chaikin and Coshott’s book provides a holistic view of the opportunities and threats entailed in the digital world of the 21st century, showing how digital disruption is impacting businesses, governments, investors and consumers. Such impacts include how digital communities and especially Big Data is challenging intellectual property rights and privacy; the ways financial services are being transformed by new payment platforms and digital money; and, the means by which the digital world is being utilised as a tool for money laundering and tax avoidance.